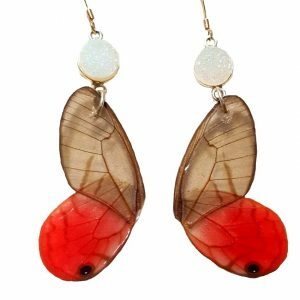 Butterfly is know as glass butterfly, because it is transparent. 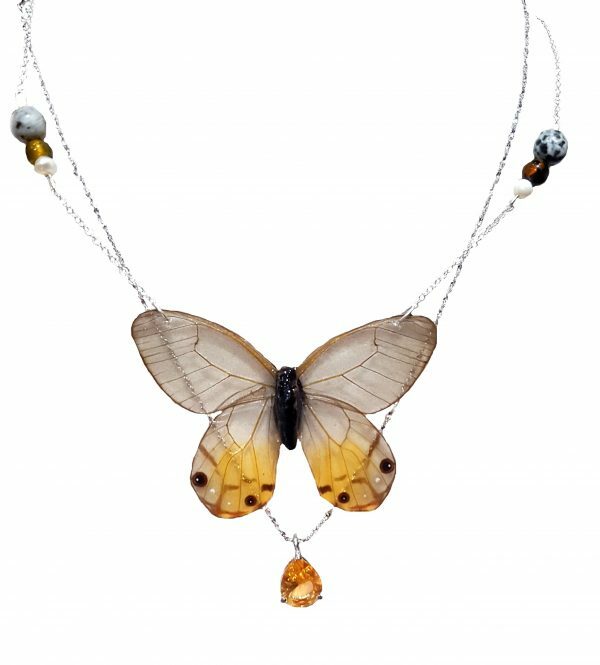 This Real Butterfly Wing Necklace is made with (Cithaerias pireta AKA Amber Phantom) Real Butterfly Wing Jewelry is crafted with excellence. I love this piece. I like the option of dressing it up or down with the separate layers. Backing is ceramic with gold leaf. You'll regret passing it up. It's a one of a kind. Buy the matching pink twin and make it a best friends necklace gift. Butterfly died naturally, after living a full life. Purchases help preserve rain-forest and butterfly populations. 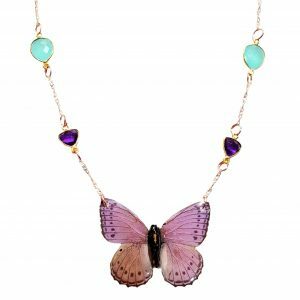 One of our most popular butterflies. Hard to Keep in Stock.